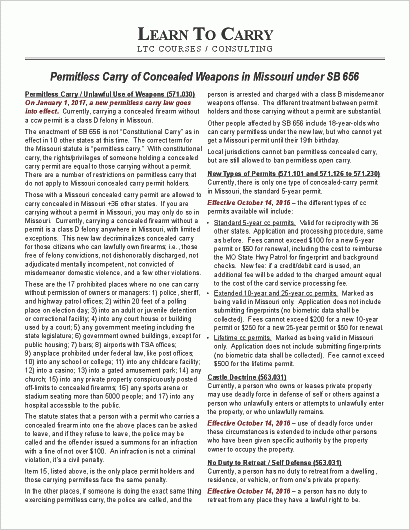 Providing information and services related to Missouri's Concealed-Carry Law. Qualify for a CCW Permit! We can also provide training on YOUR schedule! Our excellent LTC Basic Course meets all of the training requirements to qualify for a Missouri ccw permit. One-day/8-hour classes in the Columbia and Branson/Springfield areas. Visit Learn To Carry Productions for all the details! Have questions about the new Permitless CCW law passed with SB 656? 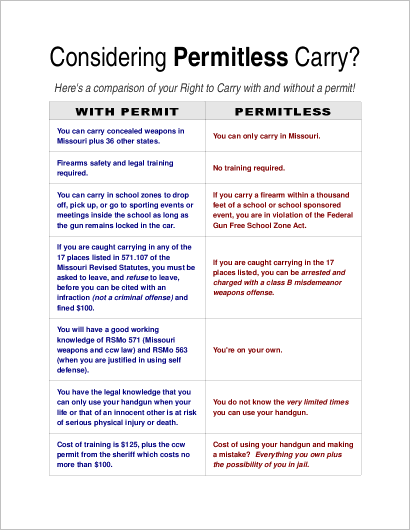 The first is a Permit/Permitless comparison sheet. The other highlights a number of changes in the law, with a special focus on Permitless Concealed Carry. Feel free to print and distribute! Ready-to-print PDF files for making one or two-sided business cards. Visit our "No Guns No Money" Page and download your cards! 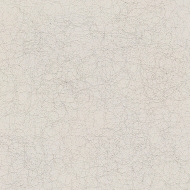 Check the map before traveling out of state!